Jouer au chat et à la souris | One quality, the finest. 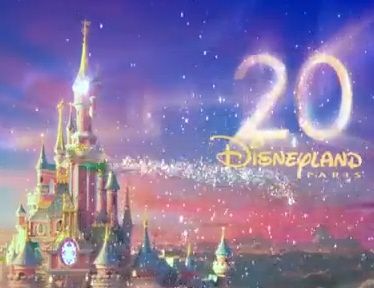 April 12, 2012 marks the 20th anniversary of Disneyland Paris in Marne-la-Vallée, 20 miles from the center of Paris. With over 16 million visitors a year, it is Europe’s most visited site, exceeding Notre Dame and the Eiffel Tower combined. It has always had its detractors, including those who see it as cheap American culture invading the land of the Enlightenment. Someone in the arts community dubbed Euro Disney, as it was first called, a “cultural Chernobyl” and the epithet has stuck. If the French are angry with the Americans for some reason, Disneyland Paris will often by targeted by protestors, even when the dispute is completely unrelated to mouse ears. A fun fact is that Walt Disney’s name came from the village in Normany Isigny-sur-Mer. Someone from there is “d’Isigny” (dis-in-ye), which sounds a whole lot like the Anglicized version “Disney.” While the themepark’s finances were extremely shaky in the beginning, things have picked up significantly in recent years, basically since the name was changed. Euro Disney sounded like it was about money; Disneyland Paris sounded like it was about the most beautiful city in the world. Today’s expression, jouer au chat et à la souris (sjeway oh shat ay ah lah sooree) means “to play cat and mouse.” Mickey Mouse may not wear a beret and carry a baguette, but he seems to have conquered France notwithstanding. This entry was posted in Travel and tagged Disneyland Paris, Euro Disney, jouer au chat et à la souris. Bookmark the permalink.